Elektor talks about Arduino « Adafruit Industries – Makers, hackers, artists, designers and engineers! 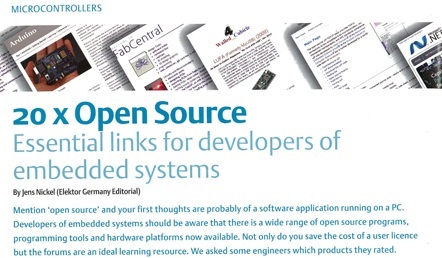 March 2010, Elektor’s English edition brings an article on 20 Open Source Tools. 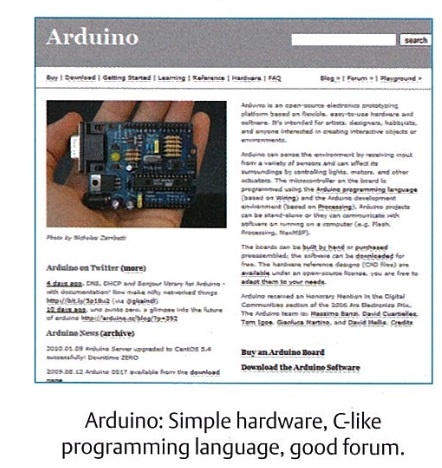 Arduino is featured as the first one of a series of tools that we all admire. It is really nice to be featured in Elektor (though I know it is not the first time, there have been several articles before where readers were using the Arduino board to develop their projects). This same issue brings a very interesting article titled Small & Open Source embedded operating systems that can run on AVR … this means you could probably run many of those small OS on one of the Arduino board models. Elektor do seem to be becoming big fans of Arduino. Can only be a good thing for the Arduino community!